Last year, the Mitsubishi HC3800 was a sleeper hit - a little $1500 DLP 1080p projector that filled a previously empty niche. Fitting right in between sub-$1000 and over-$2000 1080p home theater projectors, the HC3800 was an inexpensive way to get a beautiful, film-like picture into your home without spending a ton of money. This year's model is the HC4000, and it definitely continues the legacy of its predecessor. The HC3800 and HC4000 are mostly the same, but the one clear area of improvement is contrast. With a new DarkChip 3 DLP chip, single-frame (ANSI) contrast is even better than before--and that's saying a lot, because the HC3800 was already excellent in this regard. And as of today, the official street price has been reduced to $1,299, making it more affordable than ever. Even better, the price now includes a full two-year Advance/Exchange replacement warranty, and a one-year warranty on the lamp. The HC4000 is a 1080p DLP projector with a great picture, but not a lot of bells and whistles. It has a bright cinema mode--bright enough to use it on a 120" diagonal screen in a room with decent light control. The projector has a 1.5:1 zoom lens. But it lacks any form of lens shift and has a steep upward throw angle offset of 33%. For a 100" diagonal image, this means the bottom edge of the image will appear 16" above the centerline of the lens. This makes it a perfect choice for a ceiling mount, as it will not require the use of a drop tube in most circumstances. A low table mount between the seats would also be simple to set up. The zoom lens gives you some flexibility in throw distance, so it's a great option for folks with complicated ceilings; for example, I have a ceiling fan in my theater, 'conveniently' placed in the ideal spot for a projector (I still have to thank the builders for that one). Thanks to the HC4000's 1.5:1 zoom, I can place the projector in front of the fan and still get a 100" diagonal image. The projector looks its best in a fully darkened room, but a touch of ambient light will not hurt things much. Black level is not as deep as other 1080p projectors that use auto-iris systems, and indeed full on/off contrast is not one of the HC4000's selling points. The darker you can get your room, the better, but don't run yourself ragged trying to plug up every light leak. Your comment about "single frame contrast" seems to refer to ANSI contrast. You used to measure and publish this figure. Why did you quit? My old InFocus X-1 was a business projector with two modifications. It had a Faroujda anti-aliasing chip and it could skip the clear segment on the color wheel for movie viewing. I never hear about anti-aliasing anymore. Am I to understand that all electronics now are so good that it's irrelevant? Secondly how do modern DLP projectors acheive their high lumen modes if they don't use a clear color wheel segment? DOSE ANYBODY KNOW WHAT CTI IS ON MITZ 4000 IN THE FEATURE MENU, WHAT DOSE IT DO. Your old X-1 needed a good anti-aliasing chip because of the low resolution of the x1 (800x600). This HC4000 projector as you probably know runs at 1920x1080p and can display most videos in their native resolution. The anti-aliasing is used to display high resolution on a low resolution screen so it is not needed much anymore. Modern dlp chips have improved and are able to reflect more light. The chips themselves have also shrunk. I believe this allows the same light to be focused more concentrated. Hi, it would be a right choice to update my Infocus SP7205 (720p but impressive image quality) to this Mitsubishi HC4000?? I use it for watching bluray movies in a light controlled room. 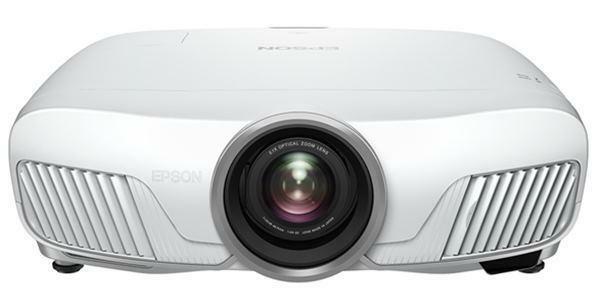 I'm looking for a low price 1080p projector and the Mitsubishi hc4000 it seems to be a right choice.